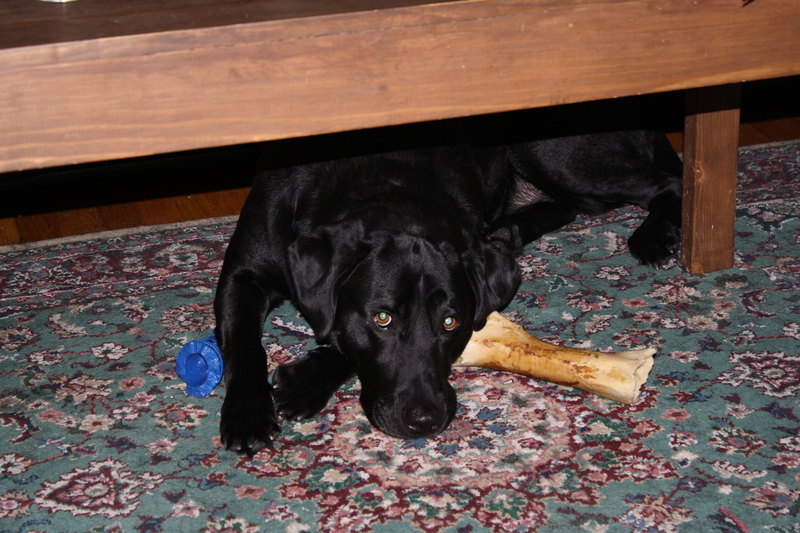 So I’ve been busy, busy, busy lately with my day job and my nutrition counseling: things are really taking off! I’ve been meaning to write about the delicious meal M and I made for Valentine’s Day, but I’ve been consumed with brainstorms and business plans! So, without further ado, I give you Valentine’s Day: Chicken Parm Addition. 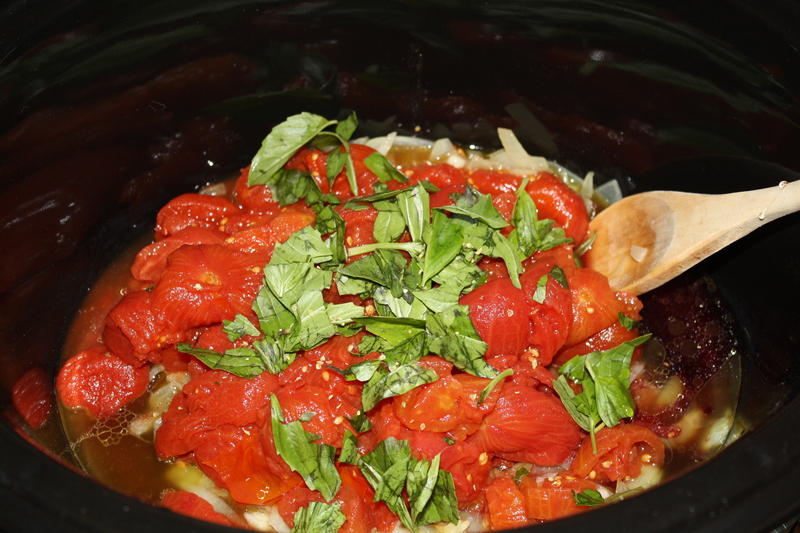 On Monday night, M and I slaved away over a sauce pot on the hot kitchen stove–I mean, I made some great chunky tomato basil sauce in the slow cooker using a recipe from “Not Your Mother’s Slow Cooker Cook Book”. It’s funny, because my sister and I both, independently bought this book for our Mother for Christmas…so it’s kind of like it IS my mother’s slow cooker…anyway. 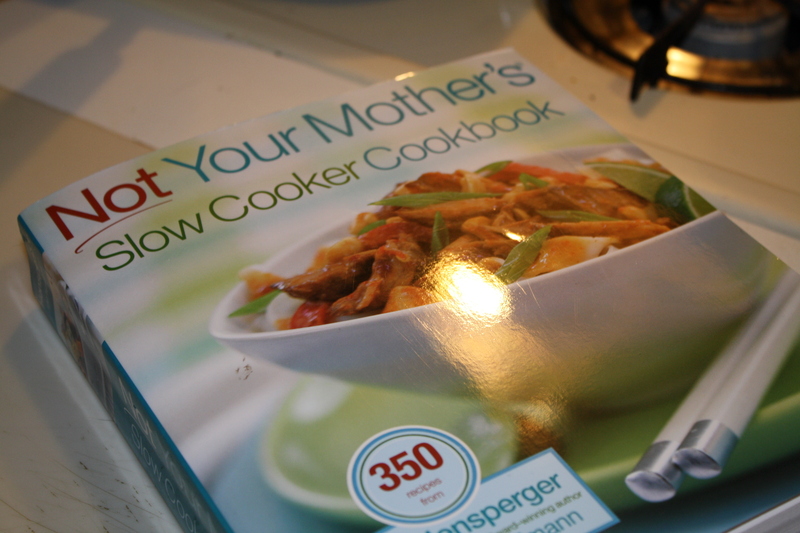 I ended up keeping the copy I got her and giving her a more better slow cooker cook book. Win-Win situation! 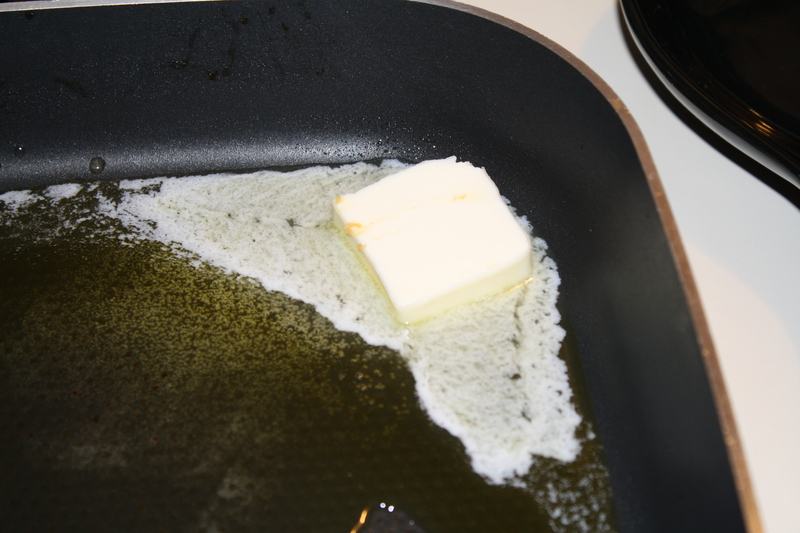 The first step to making an awesome sauce is to be Italian…but I’m not Italian..so, my first step was to melt the butter in the olive oil in a sauce pan over medium heat. Next, I added the onion and cooked until it started to brown. After about five minutes, I added the garlic and cooked for an additional two minutes. 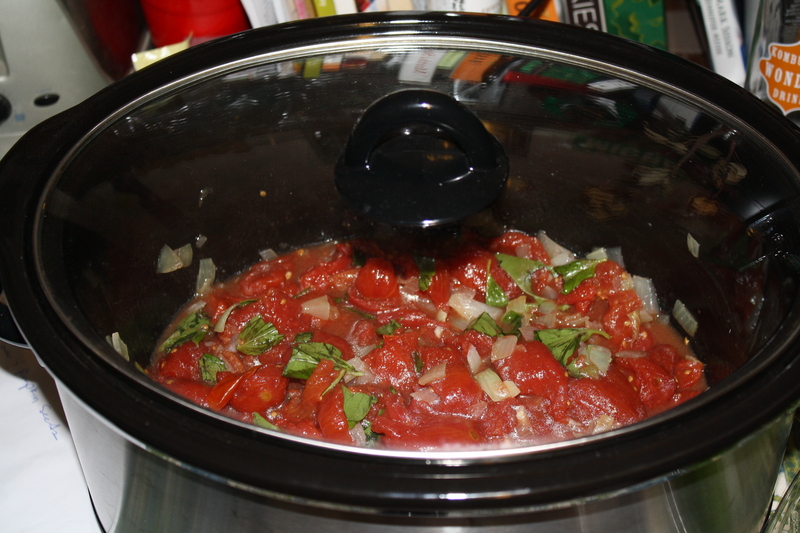 I transferred the onion and garlic saute to the slow cooker and added the drained and coarsely chopped the tomatoes. Then came 2 Tbsp or so of basil, the oregano and the red wine. 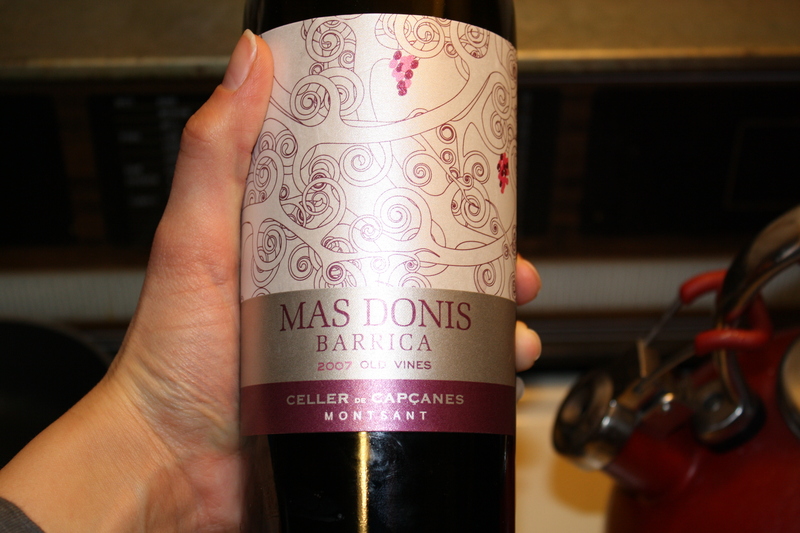 I’m pretty sure this isn’t a cooking wine, but it was open…so I used it. I also added a drop of honey. The original recipe called for a “pinch of sugar”so instead of forgoing the additional sweetness, I decided to add some honey. In the end, I probably could have left it out. 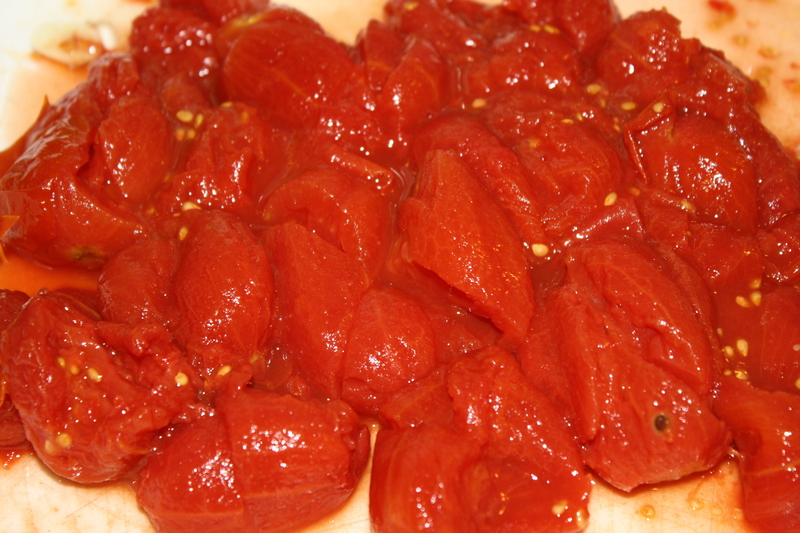 I put a lid on the tomato mixture and let it cook for two hours on HIGH. 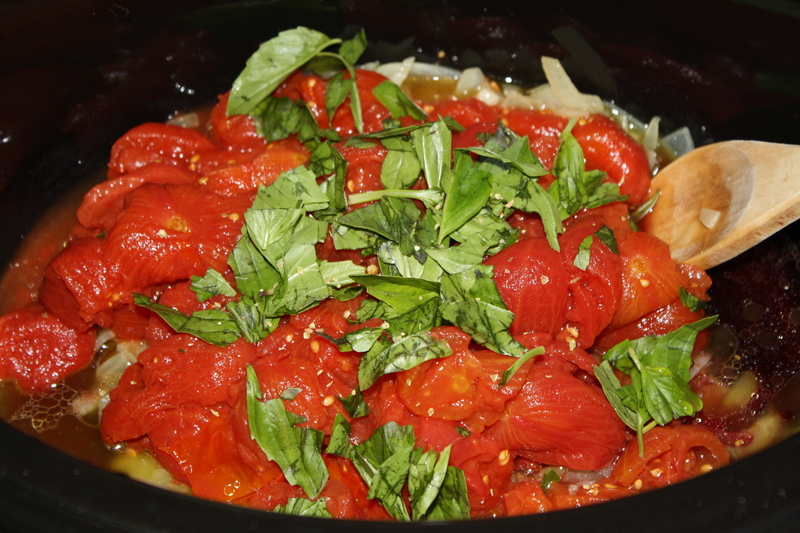 After two hours, had passed, I added the remaining basil, salt, pepper and parsley and cooked on LOW for 30 minutes. Chester and M waited patiently. 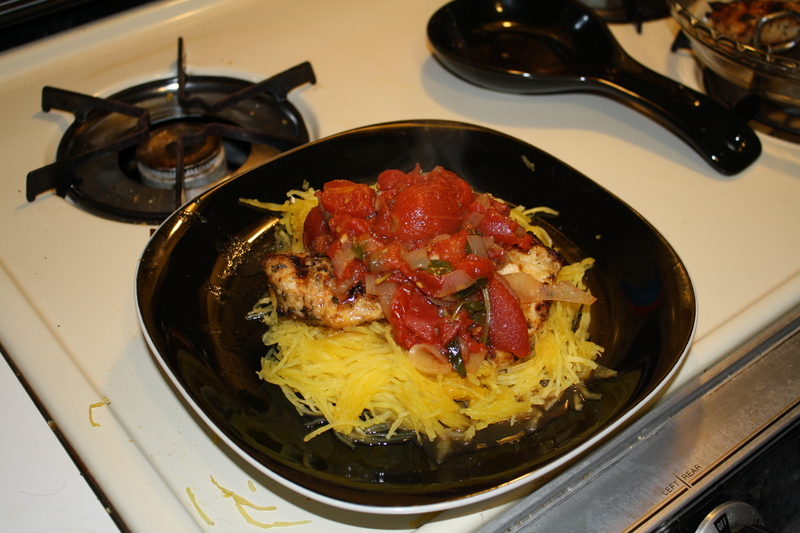 While the sauce was cooking, I prepared some Spaghetti Squash as a pasta stand-in. We decided to grill the chicken instead of “breading” it. So rather than rolling it around in egg and almond meal, I rolled it in some olive oil, garlic powder, sea salt and oregano. M grilled the chicken on Whil Wheber! 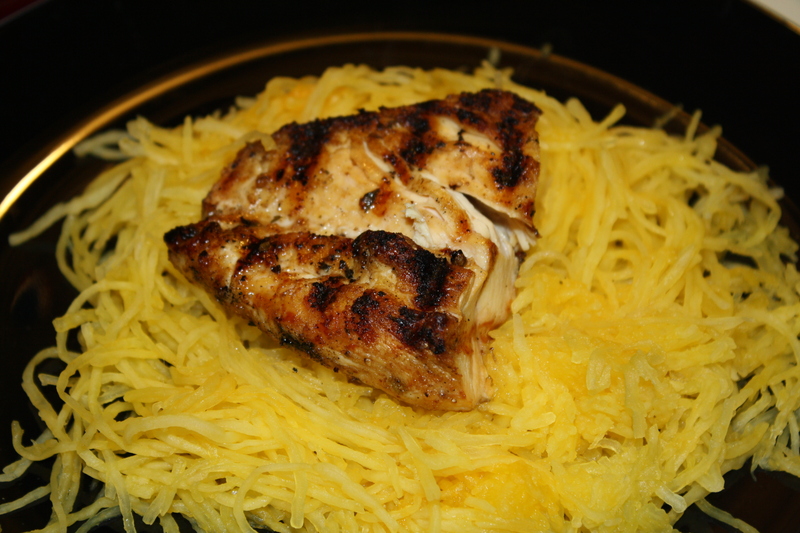 The result was crusty, flavorful, tender pieces of grilled chicken. We topped it with loads of sauce! 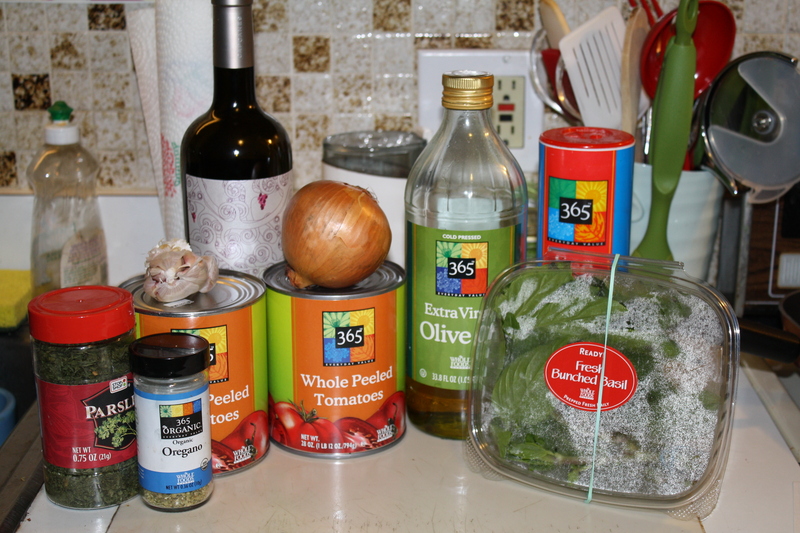 I was told that this sauce tasted like an old Italian family recipe…Success! 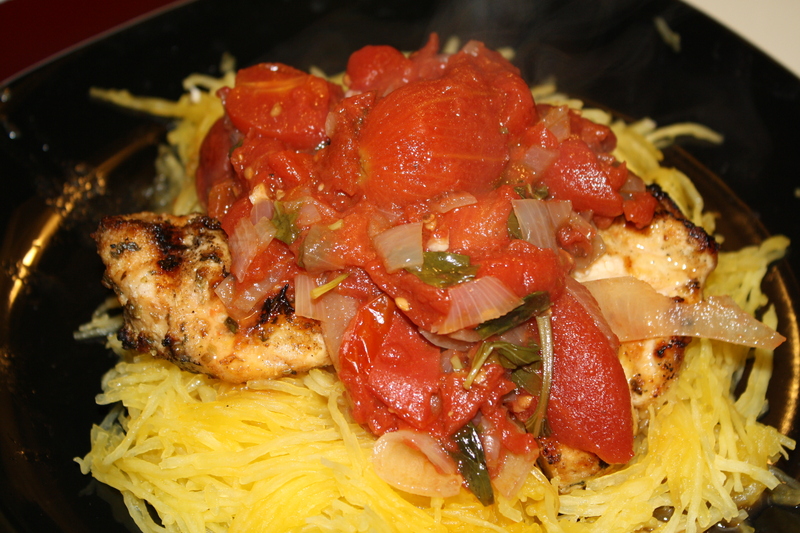 The sauce was chunky and flavorful, the chicken was tender and delicious! It was a perfect Valentine’s day meal!